Notice: Nicole: Do I have something on my face? Is there anything cuter than a baby with food on their face? I mean, I doubt she will appreciate this photo when she is, say, 16. But it is just too cute. What can I say? 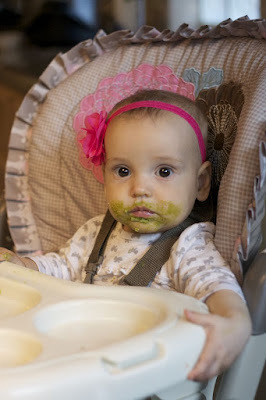 The girl is serious about her greens!